From here we intend to post product reviews, trip reports, links to video footage and anything we feel may be of interest to the four wheel drive and touring community. The last thing we want to do is create a monologue with a specific focus on just what we offer or do. 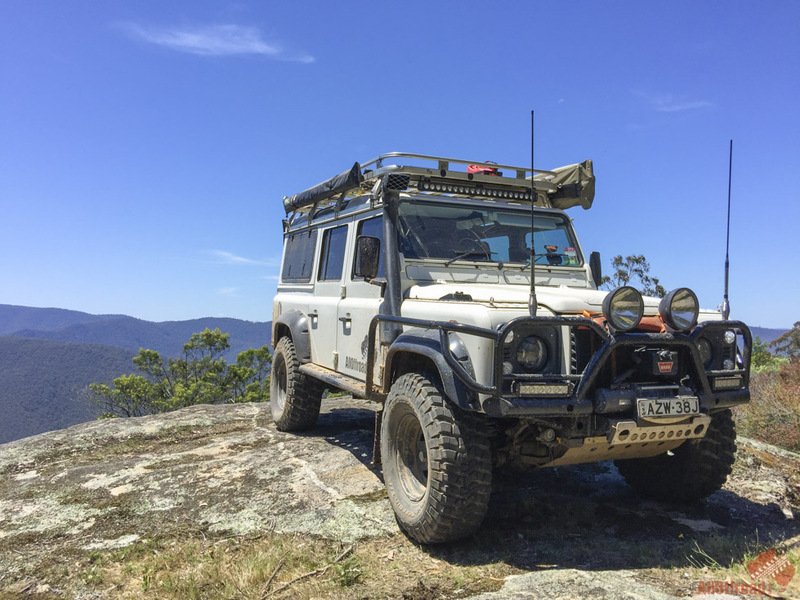 We want to create an informative and helpful page encompassing all aspects of four wheel driving, touring, accessories, vehicle choices of which there are many. We also want to discuss the impacts and reasons for track and land closures as these issues affect all of us and are seldom one sided. We encourage active participation and want your comments, thoughts and constructive input so please feel free to contribute. Now get out there and let everyone know what a fantastic country this is and how lucky we are to be able to experience everything it has to offer. Live for adventure! The journey in the Victorian High Country began at 6:30 in the morning on November 14th, 2015. We head to the second river crossing of the Murray River at Tom Groggin, but unfortunately it was not passable. The first crossing was not much better, so we had to come up with a Plan B. We decided to stay overnight at a Tom Groggin before starting our 4WD adventure to Mt Pinnibar. The water was lower in the morning, but still far too deep to attempt. So we made a detour to Geehi Hut and drove along the Geehi Walls Track. Here we had much better luck and were able to make it to Major Clews Trail. We then looped around to Corryong and Jack Riley’s (The Man from the Snowy River) Grave, where the views were just beautiful. That night we stopped at the Shady Creek Recreational Site also called Mt Pinnibar Hut. On Monday morning we left The Poplars to start on the first track; the Limestone Creek Track. It was quite a steep track with some smaller ruts and rock steps, but it was nothing too crazy. There were also a couple of river crossings, but fortunately they weren’t too deep. We then head to Native Cat Creek, which was an easy track to drive along. The next bit of our adventure took us along Garron Point Road towards Hell Hole Hate, where some points were quite steep, windy and narrow. Actually I read that many people have been stuck here, so it was a challenging part of our adventure. Luckily, we made it to the bottom and the scenery was beautiful. It was well worth the detour. We then drove through thick bush and all of a sudden plains opened up and we enjoyed a stunning view. It was so beautiful here that we decided to set up camp for the night. Tuesday morning was beautiful. There were some deer running around the camp and we were happy that we followed our hunches and got off the beaten path. It was definitely one of the top 5 camping places I have been to. Next we drove along the Escarpment Track to The Washington , which was the only logging system in the country that used a high lead system. We then ventured along the more difficult South Escarpment Track to Moscow Villa Hut in Bentley’s Plain. Spike Jones Track was our next adventure or better de-tour and one of the main tracks to the Lower Nunniong plains was closed for road work; an easy but completely overgrown track. After that we followed dead end track towards Murphys Hut deep in the Lower Nunniong Plains, it was so beautiful here that we decided to stop for the night. We had a beautiful night at Murphy’s Hut before setting off to explore the area. We drove along the Gronow’s Track, which easy and picturesque. Unfortunately when we got to the end there was no way to get down to the gorge, so we have to head back. We drove down the Demon Track, which took us to Plain Hill Track, which was quite difficult. Actually the first half of it was uneventful, but the second half was fun to drive. We stopped for lunch at Mellick Munjie Falls, which was stunning. Next we drove to Mt Stewart to enjoy the views. Green Hill Track took us on a stunning drive down the mountain towards Bucket Hill River. Happily the river was passable so we didn’t have to turn back. We even got to have a refreshing swim. We were back on bitume for the first time since day 1. We had an amazing day, with river crossings, steep hills and ruts. The day ended at the Buchan Caves Camping ground. We started the day with a hearty breakfast at the Buchan Valley Roadhouse as well as a fuel top up and then made our way to Buchan Bluff. Old Basin Road to Jacksons Crossing was the first big journey of the day, which started off okay but was difficult in the end. The crossing is on private property so you need permission to pass. Luckily we were told it would be alright, though we didn’t know if it is passable. Jacksons Crossing Track was a reasonably difficult track and the crossing was quite long, and had reasonably high water levels so we decided to give it a miss. We then slowly started heading towards home, driving up Running Creek Track. This was a very difficult track that was steep with loose surface. If it were wet it would have been nearly impossible. The difficult New Guinea Jeep Track took us down 500m, but it was super overgrown. So much so that we had to go back up after only making it half way down! We then had to look for a spot to camp, but not before hiking to the top of a rocky outcrop that we spotted. It was a difficult walk but the view was phenomenal, overlooking the whole valley. That night we stopped at Ash Saddle. The trees here were massive. It was like being in a scene from Jurassic Park. On Friday morning it was time to descend the more difficult Betts Creek Track to the Snowy River. It was quite a fun adventure, and when we got to the bottom we found a beautiful spot to stop and go for a hike. Even though you can camp at the bottom I would not recommend it, the small camp site is circled by huge widow makers and the man size fallen branches give an idea what happens if they end up on your tent. In the rain it would be impossible to get back up this super steep track. We had a nice swim in the Snowy River before heading back uphill. Afterwards, we hiked up Tulloch Ard Lookout where the views were absolutely amazing. Next we drove along the Snowy River Road, which is known to be the most dangerous road in Australia, as it is narrow and windy with a big drop off on one side and often not wider then a truck. It is not recommended for those who have acrophobia. At the bottom we found a beautiful campground right next to Snowy River to spend our last night. hey guys, where can I find the GPX of this trip?